This is a direct replacement for your current clutch and flywheel with no modifications required. This will replace whatever was previosuly fitted (whatever make) as a direct bolt off, bolt on replacement. This unit will give the same great drive as standard but is relined with Carbon Kevlar friction material which makes it ideal for lightly remapped cars. PLEASE EMAIL WITH ANY QUESTIONS. WE HAVE OTHER SIMILAR ITEMS AVAILABLE IN OUR EBAY SHOP AS WELL. 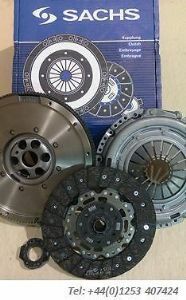 IF YOU NEED A CLUTCH & FLYWHEEL THEN WE OFFER THE LOWEST PRICES IN EUROPE. BULK TRADE ENQUIRIES ARE ALSO WELCOME; WHY NOT BECOME A DISTRIBUTOR? WE HAVE THESE UNITS IN STOCK AVAILABLE FOR RAPID DELIVERY.